Healthy aging is a topic that many medical experts have expressed opinions on; their audience is aging US population that is determined to stay youthful, healthy and vibrant for as long as possible. Yet what do the experts have to say about the use of anti-aging HGH therapy for adults – and is it something that you should consider using? 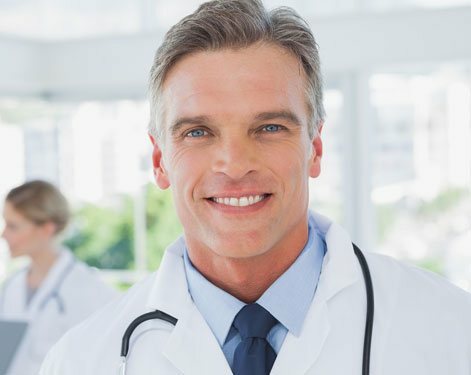 At Nexel Medical, we believe that that this form of hormone replacement therapy, which utilizes injectable human growth hormone to increase an adult’s low supply, provides remarkable anti-aging results. However, we want all adults who are considering HGH therapy to remember it is a medical treatment that is used to correct a clinically verified hormone disorder. If you have developed the type of growth hormone deficiency that would medically qualify you for receiving a prescription to use this treatment then you would have a high likelihood of achieving excellent results. But here is the other side to that story that many adults either haven’t heard about or don’t want to believe: If you don’t have a clinical level of growth hormone deficiency and are not experiencing symptoms of deficiency, then HGH replacement therapy offers you very few if any real benefits. The type of patients who achieve the best results from using a doctor prescribed course of therapy are adults over the age 30 whose blood test shows that their GH levels are below the normal range, and who have also been experiencing the symptoms that have been associated with growth hormone deficiency. So obviously, human growth hormone replacement therapy is not a treatment that all adults should consider using because it is one that not all adults will be medically qualified to receive. But for those adults who do qualify, the anti-aging benefits of HGH therapy are remarkable – and the benefits of treatment don’t stop there. How Long Do the Anti-Aging Benefits of HGH Last? All of the benefits associated with using human growth hormone injections therapy are cumulative, as they are in virtually all forms of therapy. The use of this medical treatment is an ongoing process, similar to the way that treatment for Low T is prescribed, because hormone production loss cannot be therapeutically restarted, it can only be therapeutically replaced. Once an adult’s insufficient growth hormone supply has been restored to the normal range (for their age and physical condition), they will experience the anti-aging benefits of HGH therapy along with the other health benefits it delivers. You’ll have plenty of energy again. Nothing makes adults feel older than the chronic fatigue and very low energy that growth hormone loss causes. You’ll regain your mental sharpness. GH deficiency is known to contribute to cognitive decline. You’ll lose excess body fat and regain a leaner and healthier physique. Inadequate growth hormone production makes your metabolic function far less efficient. Your muscle tone will reappear and your bone mass will regain density. Human growth hormone therapy supports healthy muscles and bones. You’ll feel better emotionally and your sexual desire will return. Having properly balanced GH levels contributes to sustaining emotional wellbeing and a stronger libido. You will be less susceptible to minor illnesses because HGH therapy strengthens your immune system. Your skin will become smoother, plumper and have fewer wrinkles. Your hair will become healthier and thicker. You may even notice improvements in your vision and hearing. Your risk for developing heart disease, osteoporosis, stroke and diabetes will be significantly lower. These important benefits will be sustained for as long as you continue to use anti-aging HGH therapy for adults with a symptomatic growth hormone disorder. The key to making the benefits of therapy last is to keep your growth hormone supply sustained at a healthy level. Are There Any Side Effects to Using HGH Therapy? In both clinical studies and actual patient use, the incidence of side effects has remained statistically low when anti-aging HGH therapy for adults is being used in a medically responsible way. And this is an extremely important distinction to make because unfortunately, there are far too many websites and other sources that illegally sell human growth hormone – meaning that they will sell it to anyone without requiring a valid prescription. It also means that whatever they are selling has not been tested or verified to be the genuine pharmaceutical form of HGH that US doctors are required by law to exclusively prescribe. It is this illegal usage of human growth hormone injections that represents the highest danger to experiencing side effects, some of which can have very serious health implications. These products may come from China, India, Mexico, and any number of other countries that manufacture their own versions of HGH; and none of them would meet the federal drug standards that have benefit put in place to protect US consumers from both harm and fraud. Consumers who decide to use HGH illegally and without having the appropriate medical testing and supervision run the risk of excessively and/or unnecessarily increasing their growth hormone levels, neither of which is going to produce the desired results. As stated previously, not every adult is going to medically qualify to use this therapy and if you don’t medically need it, there is no point to using it because you want get the results you want – and you may just cause yourself to develop some serious health issues that you definitely don’t want. When used responsibly and legally, medically prescribed human growth hormone injections have the ability to restore a hormone deficient adult’s wellness and vitality while providing overall physiological rejuvenation. When they are purchased and used irresponsibly or illegally, the same benefits just aren’t there … only the health risks. Where Can You Find HGH Anti-Aging Clinics and Doctors? It might be difficult to find HGH therapy doctors and clinics in your local area; but when you go online, it is not at all hard to locate websites that promote anti-aging HGH therapy for adults. Yet keep in mind that all legitimate medical providers of human growth hormone replacement therapy in the US are expected to test and examine every patient for growth hormone deficiency before reaching a diagnosis and prescribing a course of HGH therapy for them. The anti-aging aspects of this medical treatment have evolved into the popular way for many people to refer to it. But it is not legal for medical doctors in the US to prescribe treatment for adults who do know exhibit the clinical evidence of growth hormone deficiency. So whether HGH therapy is referred to as an anti-aging therapy … a therapy to restore and sustain hormonal balance … or a medical treatment for a recognized hormonal disorder … the most important thing that any patient can have is an experienced and qualified hormone replacement therapy doctor managing their treatment program. Luckily, doctors like these can now be found online. Regardless of where they live, every adult in the US now can have immediate Internet access to some of the country’s most highly qualified HRT medical providers like Nexel Medical. And through that access, adults can now get clinically tested and examined for HGH deficiency in their local towns and cities and have their treatment managed by a respected and fully licensed online medical doctor. Many times, their prescribed HGH treatments can also be ordered from their providers online and shipped directly to them – Nexel Medixal provides this service to our HGH therapy patients, and this service is also available to our testosterone replacement therapy patients as well. Growth hormone is the primary hormone of rejuvenation, so it is only natural that adults would associate it with anti-aging benefits. But it also protects your health, which is the essential key to aging really well.